Most of you will be familiar with the kite metaphor and indeed have mastered or are mastering the art of flying and pulling in your own kites. But for my lovely new readers, who probably think I am utterly crazy, humour me for a moment and picture standing on the top of a hill on a warm sunny day. Can you see it in your minds eye? You have a limitless amount of strings in your hand belonging to some fabulous multicoloured kites. Some of these kites are flying very near to you while others are higher in the sky. Some are so far away that you cannot see them at all, but you know you have the strings in your hand. Your kites represent your desires and the strings in your hand represent your connection to them. The wonderful thing is you can bring these desires of yours into land any time you like. This metaphor is a tool in my tool box and one I use all the time to deliberately create my own reality and I love it! Now I am just about to land another one of my lovely kites and I want to share this with you. The kite that is coming in is my first weekend retreat called Nourish. I have wanted to host a residential retreat for years, I knew that string was in my hand, but I suppose there were many other kites that had to land before this one. Again, most of you know my large journal that I refer to as my book of spells. Well I have sketches in my journal of this kite and a little girl with angel wings holding on to the string. Now I am about to land this kite and I am so excited to realise yet another desire. I would really be delighted if you could join us. I am co-hosting this two-day retreat with the lovely Kathy Scott in the Elbow Room Escape at the foot-hills of the Wicklow mountains on the 30th November and I am really looking forward to it. As you know I absolutely love deliberately creating my own reality and this year I have made my F’ck It Decision to create copious amounts of positive momentum in the lead up to Christmas. I also want to pre-pave the way for 2019 in style, that’s another F’ck It Decision by the way. 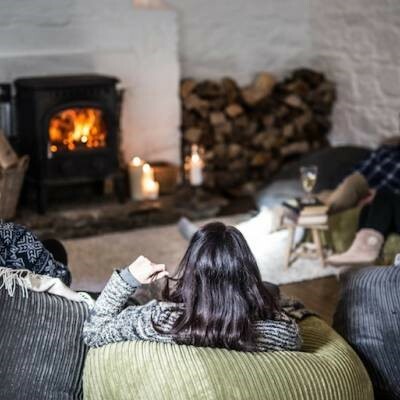 Nourish is a very special weekend retreat designed particularly for women. Wrapping you up in a heart-warming experience it will feed your soul, mind and body celebrating all that is sacred at this time of year. This Winter retreat will give you precious time out to Align yourself for the Christmas period. While pre-paving the way for your fantastic new year ahead. This is the most precious gift you could give yourself and myself and Kathy will be on hand to make sure you are comfortable, cosy and really nurtured.